Many bugs look scary, but few get under our skin – quite literally – like the tick. 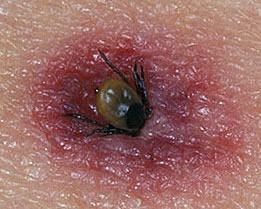 If you enjoy the outdoors, be careful of ticks – they can attach to your skin as you brush past grass and plants. Ticks are found primarily in wooded and grassy areas such as the New Forest and feed on the blood or passing animals such as humans, particularly in the late spring and early summer. Ticks don't always carry diseases, and most bites are not serious, but they can carry Lyme disease. There were 973 laboratory confirmed of Lyme disease in the UK in 2009, but the Health Protection Agency says there could be as many as 3,000 if unreported cases are included. The leaflet below gives practical advice on protecting yourself from ticks as well as guidance on what to do if you have been bitten.